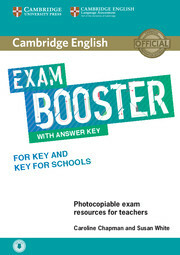 PREPARE 2nd edition Level 1 provides a foundation for levels 2 and 3 which prepare students for the revised 2020 A2 Key for Schools exam. 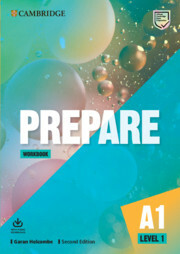 The Level 1 Workbook provides additional reading, writing and listening practice of the language covered in the PREPARE Level 1 Student's Book units, and reinforces vocabulary. The accompanying Audio is available online for download via an access code in the Workbook. A Student's Book and Online Workbook is also available, separately.